Sen. Dino Melaye is in the news again, and this time around an FCT High Court, Maitama, arraigned him for allegedly giving false information to the Police. Melaye, representing Kogi West, was arraigned on Thursday following a two-count charge bordering on giving false information, offences he denied committing. Justice Olasumbo Goodluck, granted him bail after listening to the submissions of his counsel, Mr Ricky Tarfa (SAN), and the prosecuting counsel, Mr Magaji Labaran. 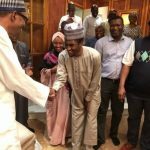 The judge admitted him to bail in the sum of N100, 000, a surety in like sum, who must not be below grade level 14 in the Federal Civil Service. In addition, the surety must show evidence of where he resides in the Federal Capital Territory. Goodluck adjourned the case until May 16 and May 17 for commencement of trial. In count one, the senator, was alleged to sometime in April 2017, deliberately gave false information to the Police to frame Gov. Bello’s Chief of Staff, Mr Edward Onoja. He alleged that Onoja was the mastermind of the assassination attempt on him. In the second count, Melaye was alleged to have given false statement of facts in a telephone conversation with Mr Mohammed Abubakar. The offences contravened the provisions of Sections 140 and 393 of the Penal Code. Next article Should Folorunsho Alakija be a role model? 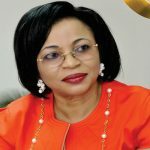 Should Folorunsho Alakija be a role model?